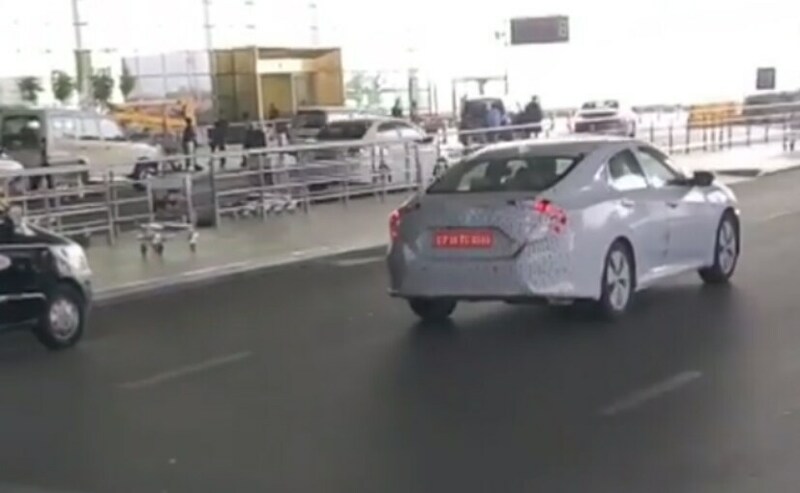 A pair of Honda Civics was recently spotted by a reader at the Mumbai airport in tell-tale test car camouflage hiding some of the more intricate details on the India spec model. The new Honda Civic will be launched in India in February 2019 and will mark the return of the popular sedan back to the Indian market after a gap of nearly 7 years! The car will be priced between about Rs 15-20 lakh (ex-showroom) and will take on the likes of the Toyota Corolla, Skoda Octavia, Hyundai Elantra and the upcoming rebadged Maruti Suzuki version of the Corolla too. And now, the new Honda Civic has been spied undergoing some urban usage condition testing in Mumbai. 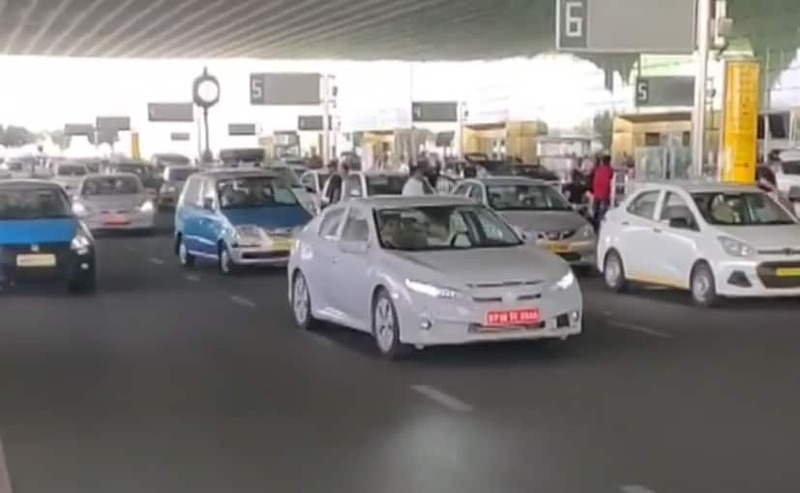 A pair of Civics was recently spotted by a reader at the Mumbai airport in tell-tale test car camouflage hiding some of the more intricate details on the India spec model. Also Read: New Honda Civic - All You Need To Know! 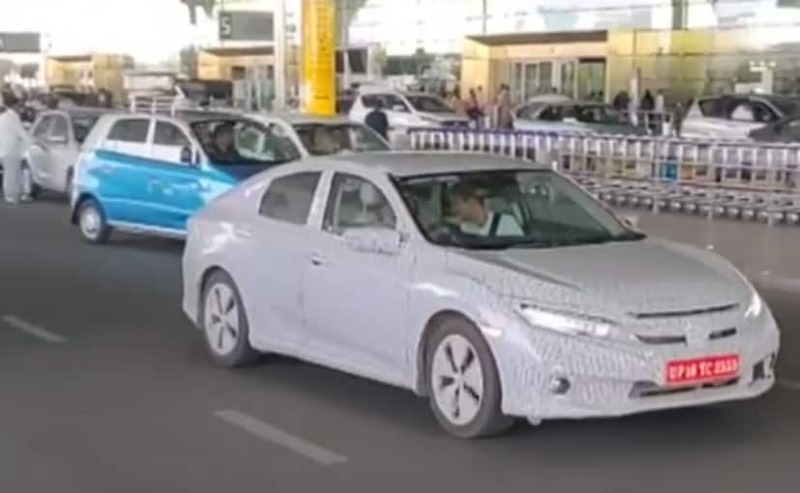 As you can see from the images, the new 2019 Honda Civic will be more like a 4-door fastback as compared to the conventional sedan that it used to be nearly a decade ago. The new Honda Civic will also have a set of large 17-inch wheels in a split 5-spoke pattern - very typically Honda in terms of design too. The sharknosed front end will be complimented with the higher set rear that gets slim and long LED tail lamps that run across most of the car's boot lid. The new Honda Civic will also feature the new Honda family look up front with a large chrome grille and with a set of LED headlamps on either side with LED daytime running lights. Under the hood will be a 2-litre petrol engine with a manual and an automatic gearbox. Honda will also most likely offer the 1.6-litre diesel engine that is currently available on the new Honda CR-V. The new Honda Civic will also get a large touchscreen infotainment system with both Apple Carplay and Android Auto compatibility along with inbuilt navigation.